She’ll be coming ’round the mountain…. Last Thursday my friends (really awesome friends) helped me load all of our worldly belongings into a U-Haul. 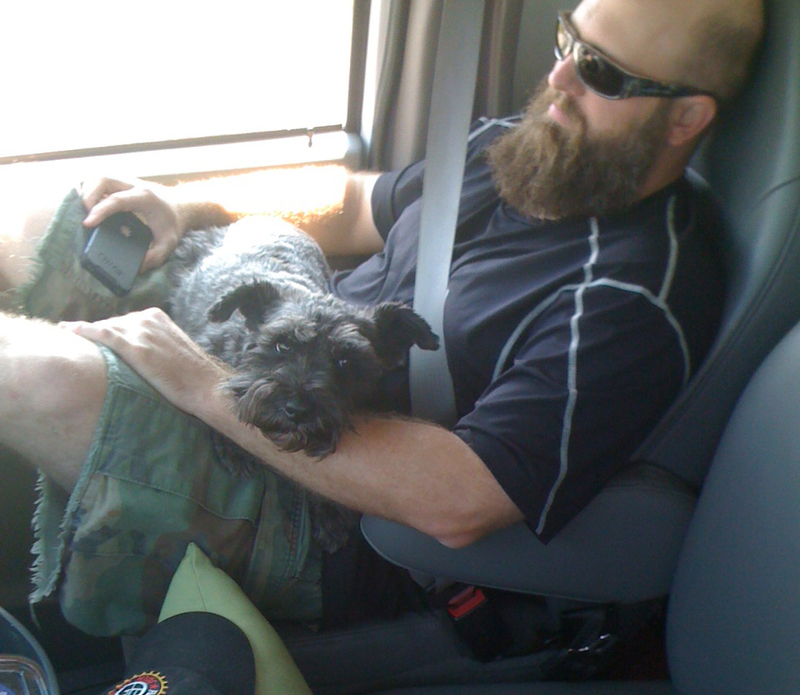 Then my friend Matt, Elliot Jean Schnauzer and I drove approximately 25 hours to New York City. Ellie also thinks Matt is a good friend, or at least a really good pillow. 1) Matt is a very good friend to have. I would recommend that you find him and make friends with him, but then there would be less of Matt to go around, so hands off! 4) Our U-Haul had to be fueled up every 5 hours or so. Every tank cost about $100. You can do the math – I don’t want to. 12) After a phone conversation on day 2 of the trip, I became vaguely concerned that it was possible a box of raw meat, peaches, maple syrup and mozzarella cheese had accidentially been loaded in the back of the truck, but thankfully that was not the case. This means, however, that someone in Oklahoma City took that box off my front porch before my friend could pick it up. Stupid thieves. I hope they didn’t waste the syrup. Glad to know you mad it safe and sound. Keep up the blogging! Ha! I want to hear more about #11. Very true even though I feel like he’s trying to steal my schnauzer.